A lot of resources go into making our modern technological toys and tools. From non-biodegradable plastics to precious metals, the list of what’s in your iPhone or even your cordless drill would probably shock you. 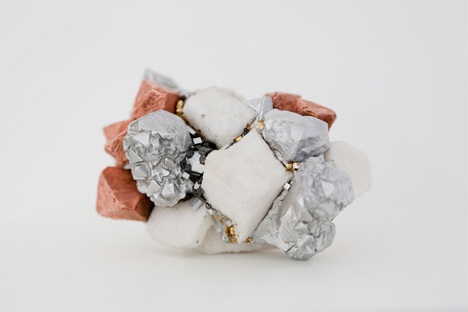 Design team Cohen van Balen – consisting of Revital Cohen and Tuur van Balen – tore apart some derelict gadgets to create an artificial mineral from the metals found inside. 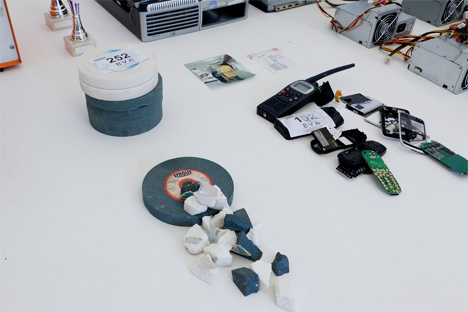 The team got their raw materials from a recently bankrupt factory and set to work extracting the stones and precious metals inside and turning them back into their natural forms. 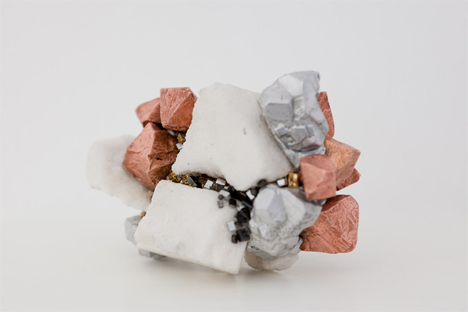 The newly-created “ore” has been named H / AlCuTaAu, a name that includes the chemical symbols of the components: gold (Au), copper (Cu), tantalum (Ta), aluminum (Al), and whetstone. The reverse-engineered object is a visual reminder of our consumer culture and how many resources we consume. 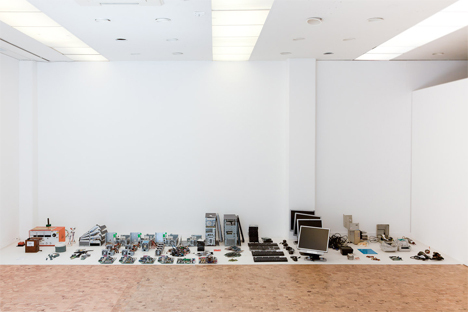 Many people simply throw away their obsolete gadgets, meaning that there is no chance of these materials ever being recovered. 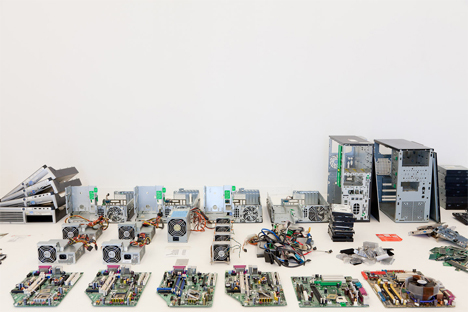 Of course, if you are concerned about e-waste and its impact on the environment, there are plenty of programs that will either reuse or recycle your old gadgets, giving them new life and keeping the precious metals out of the waste system. See more in New Materials or under Science. June, 2014.